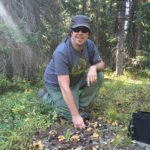 While I’m sitting here longing for rain and day dreaming about mushroom season, I thought what better way to stave off the ho-hums than share some information about my favorite Colorado fungi. Normally our season is just beginning right about now, mid-July. It’s perhaps a bit early, but you can usually always find something in your early season spots. This year Colorado is experiencing high temperatures, extreme drought and incredibly high fire danger. While that is anxiety enough, it also means mushroom season may or may not bless us this year. All of our mushrooms like heat AND moisture. In my experience porcinis will not grow at all without healthy levels of rain. 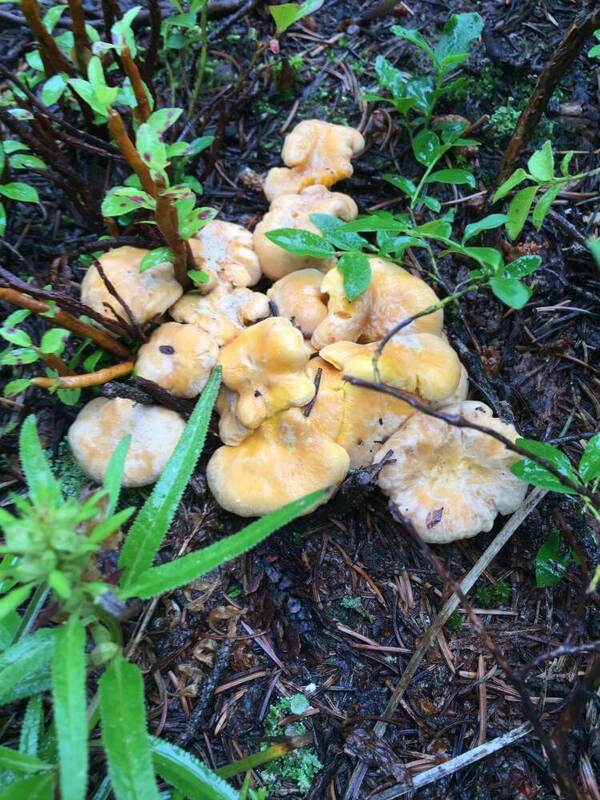 Chanterelles try and then eventually shrivel up. All of our beloved fungi need Mother Nature to cooperate for fruiting to begin. So us mushroom obsessed folks, sit here in the 95 degree weather, longing and hoping for much needed rain to awaken spores. Colorado is home to many delicious species of wild mushrooms. 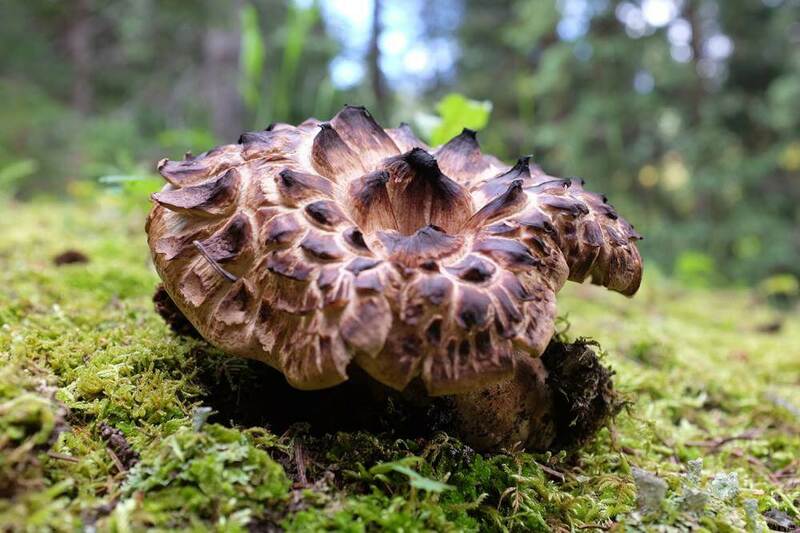 Certainly you have heard about porcinis (king boletes), chanterelles and morels – but there are many other equally delicious species out there in these mountains. On the Western slope, most all of our mushrooms like to grow above 10,000′ in elevation. We have terrain for days, but it’s often a challenge to find areas that are accessible. Forest roads in CO can be sketchy at best and sometimes something clearly on the map does not even exist in real life. We learned early on in this obsession that a chainsaw and 4WD is always necessary when on the hunt in the high country. Last year was a big wildfire year in Colorado. With all this snow (thank you Mother Nature ❤️) we can expect burn morels to be in the top CO mushroom mix this year. While natural morels can be found in Colorado during spring, they are quite elusive. However, burn morels are a different beast entirely. They fruit ONLY in old wildfires where mixed conifers have burned and climb in elevation as the season moves along. This species sits dormant for years waiting for a fire to come through. They are quite fascinating and still a bit of a mystery to science. The cool thing about burn morels is that pending necessary environmental factors (such as heat, fire and rain), they fruit in abundance! “Enough for dinner” becomes a forgotten phrase if you learn how to find these tasty forest fellows (and I find no discernible taste difference from naturals, some may disagree). We use online maps and research to locate these mushrooms. We’ve even written an e-book about it and have curated burn maps with hunting tips available for Colorado. This is the perfect resource for those looking to get started! Found a few, it was super dry! Below I’m going to focus on the late summer/fall mushrooms that grow at high elevations. I’ll give you a quick review of 5 relatively easy to identify mushrooms that I love. With this comes the usual warning – never eat a wild mushroom that you are not 100% sure about. Purchase a good field guide and find a knowledgable friend to help show you the ropes. Just don’t be dumb – some wild mushrooms can kill you or at the least give you a very bad day. Now that that is out of the way… onward, do not fear! Porcini mushrooms or king boletes often fruit in Colorado during mid to late July and grow through the end of August and even into September pending weather patterns. If the monsoons start early and the summer heat stays through the nights, these guys will go crazy. Porcinis are a partner mushroom, they have a mycorrhizal relationship with conifer trees. Typically you will find them growing around the edges of mixed conifer forests or up through the needles in forest clearings. 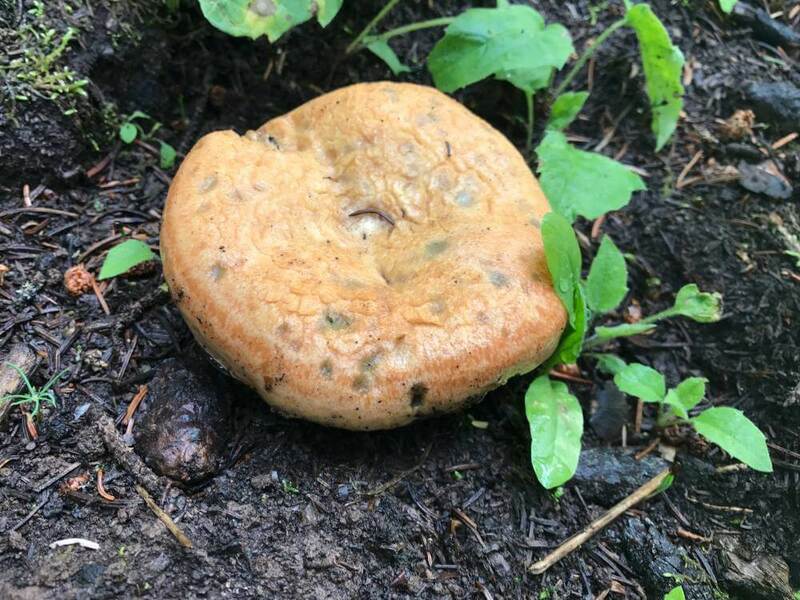 They can resemble a reddish brown hamburger bun flush with the forest floor. Often they even grow right out of the base of a baby spruce or fir trees. They are information agents of an underground “mycelial” network, sharing information and resources with the trees. It’s really quite a special relationship. They are very weather dependent, finicky creatures. If we do not have just the right combination of moisture and heat, a forest laden with these mushrooms one year may be entirely barren the next. We find porcini in the high country between 10,500′ and 11,200′ (+/-). 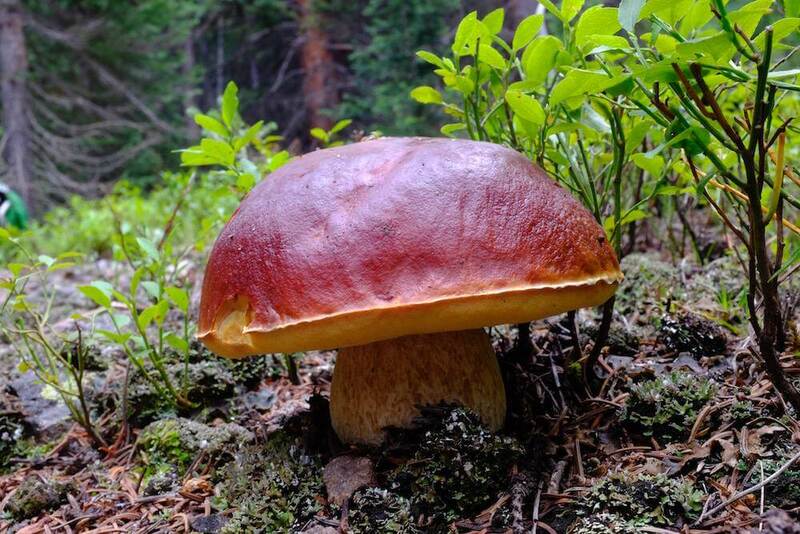 There are many types of boletes in Colorado, but only a few that you’ll want to eat. All boletes have pores under the cap versus gills. The most common porcini look alike is an aspen orange cap (Leccinum insigne), these mushrooms grow near mixed conifer/aspen and will immediately stain a brilliant telltale blue upon cutting, they also have black scabers on their stem. While Europeans often eat these, Trent and I do not. Some report stomach upset. I prefer to stick with the real deal and never hunt for porcini in or around aspen groves. Porcinis are considered choice edibles by chefs worldwide. They are firm, earthy, nutty and delicious. My absolute favorite Colorado mushroom to hunt and eat. 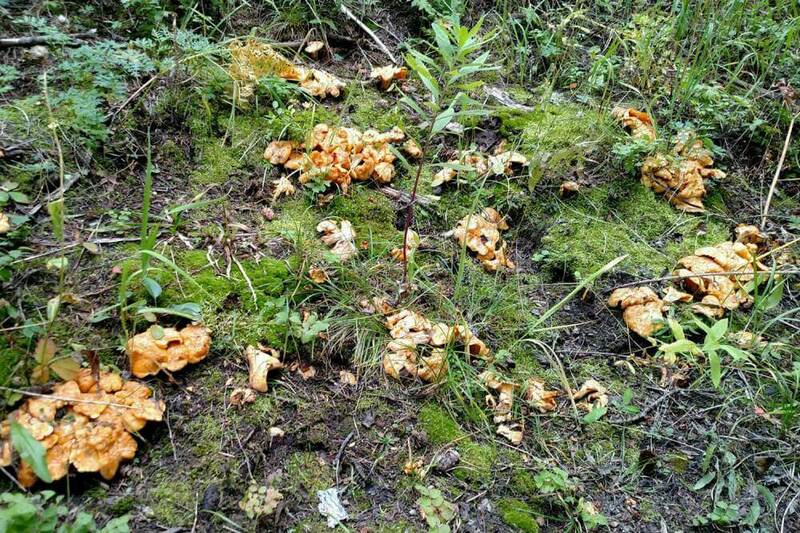 Chanterelles are bright yellow/orange in color and have a delicious fruity, apricot smell. They grow in similar areas to porcinis, but prefer the moist, mossy edges of Colorado’s conifer forests. You will find them in the high country above 10,500′ in mixed conifer forest edges and clearings. Pay attention near streams, fallen trees and drainage areas too. Because they are bright you can spot them in the distance, so scan further out into the woods when searching. These guys grow in clusters, rarely are you picking one mushroom at a time when hunting chanterelles. They have “gill-like” folds sometimes described as forked folds or wrinkles, which are not true gills – it’s one of their telltale characteristics. There is a brilliant orange poisonous look alike called a Jack o’lantern (Omphalotus illudens) which does have true gills. I have not seen these in the high country but it is worth familiarizing yourself with both mushrooms. Chanterelles are also prized, choice edibles. They have a delicate, fruity flavor unlike anything I’ve ever tasted. Absolutely divine. The hawk’s wing is one of my top Colorado favorites for a few reasons – 1. Most mushroom hunters pass it by on a quest for porcinis and chanterelles and – 2. It is a wonderful beginner mushroom as it’s very easy to identify and does not have any poisonous look alikes. This mushroom is prolific in our area and again grows in the same terrain/forests as procinis and chanterelles. It has a beautiful pattern on top that truly does look like a hawk’s wing. It’s main characteristic however is the teeth on the bottom of the cap, very distinguishable. Many folks pass it up as it can be somewhat bitter. However, I find if you collect young mushrooms and cook them just a little bit longer than most mushrooms, the bitterness dissipates and you end up with a stout mushroomy flavor perhaps similar to a portabella. I love Hawks on pizzas or in a red sauce – yum! The lactarius is a mushroom we’ve only added to our baskets in the last 2-3 years. It’s a pretty ugly mushroom that can be super delicious. These guys again grow in similar areas to the others listed and are the only mushroom on this list with true gills. While I find them easy to identify, they are maybe a bit more difficult on the scale of “easy” as there are quite a few orangish gilled mushrooms out there. However, they do have a few telltale characteristics – the most obvious being their dull blue/green spotty stain. If a light yellow/orange mushroom had blue/green acne – this one would be it! It’s a light orange mushroom with bluish spots, turning more blue after picking. They also have a hollow, sort of pithy stalk and the orange gills will bleed a milky substance when disturbed. These are best when young and fresh, and i’m always happy to eat them! I always say I will never pass up a puffball. If I see a freshie, it’s going in my basket. These mushrooms are sort of the tofu of the fungal kingdom, they have a general mushroomy flavor and are great for soup base. I’m not a fan of the spongey texture when fried up on their own, but I love them as a flavor maker. Again – you’ll find these shrooms here and there while you are looking for the others. They can easily be over-ripe so to speak. AND, other poisonous mushrooms like amanitas (Amanita muscaria) can also resemble them as young buttons. If your puffball is white all the way through when cut in half AND has no outlines of a baby mushroom inside (should be like a marshmellow inside – fairly firm, white, uniform and squishy), it’s good to eat. If it’s at all brown, olive or yellowy inside, it’s past prime. 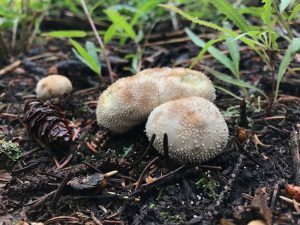 I often find gem studded puffballs (Lycoperdon perlatum) around these parts, but keep your eyes peeled for both latin varieties mentioned. You’ll notice I’ve included latin identifications here, this is so you can get a good Colorado field guide and look all these mushrooms up! We love our field guides and never leave home without them. At this point, we don’t need them to find these five mushrooms, but it’s good practice to always have them on hand. If you are new to wild mushroom foraging, one of the best and quickest ways to get up to speed is to beg a friend in the know to let you tag along on a foray. Another is to sign up for a foray through a local mycological society. Local Facebook groups are also a good way to get exposure to photos and seasonal finds. If you are uber local, meaning Vail to Aspen or Denver, why not; Trent and I may offer a few select forays near Aspen this season. Will keep you posted. If you are interested, feel free to send me an email and I will personally update you about upcoming opportunities – [email protected]. I worked for three years in the Upper Douro Valley of Portugal. Plenty of mushrooms of all kinds. 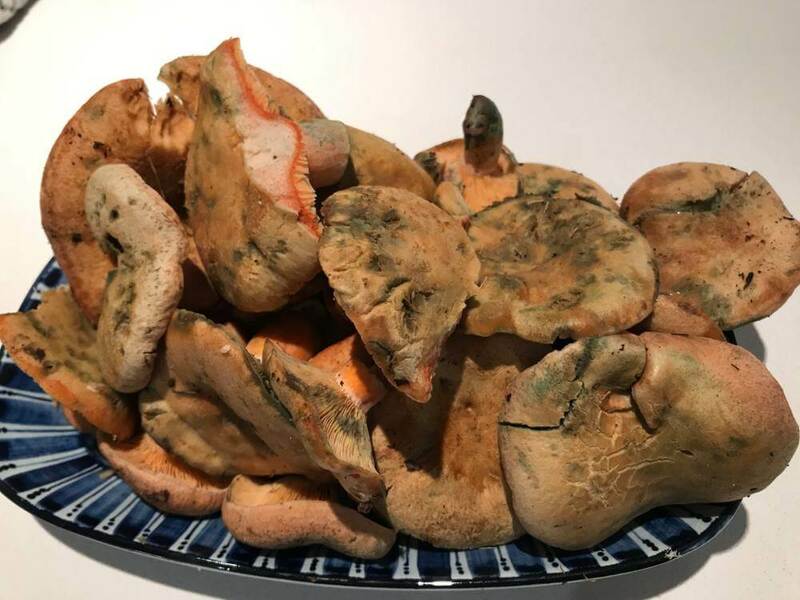 The local people consider the lactarius the best edible mushroom well above the porcini, that you can find there until late November. We have large(14cm) parasol looking mushrooms growing below the eastern slopes of Rockies.Look like sarcodon imbricatus but have gills not spongy looking underside.The flesh is creamy and doesn’t change color when handled. Smell like fresh air.Can’t find clear descriptive answer in my book or on web. Please help. Yvette… ID a mushroom from a description like that is not really possible… I recommend you download the inaturalist app, take a series of photos of the mushrooms in the ground and in the hand, describe it a bit. There users of that app will help you ID it! Also, you could post those pics to a mushroom group on facebook (colorado mycological society for instance). Love mushroom hunting!! Specifically Boletus Edulis, Boletus Aureus, Amanita cibarius. Grew up doing it in Italy. Still go to Italy at the end of summer to please my hunger for this wonderful , I would call it, passion. Looking for a place in the USA where I can possibly keep doing it. I live in San Diego, which is a beautiful place to live but not a place where the Boletus species can thrive.